Arriving at the decision to remove unnecessary structures. Recoloring the facades and displaying all changes in the avenue photo. 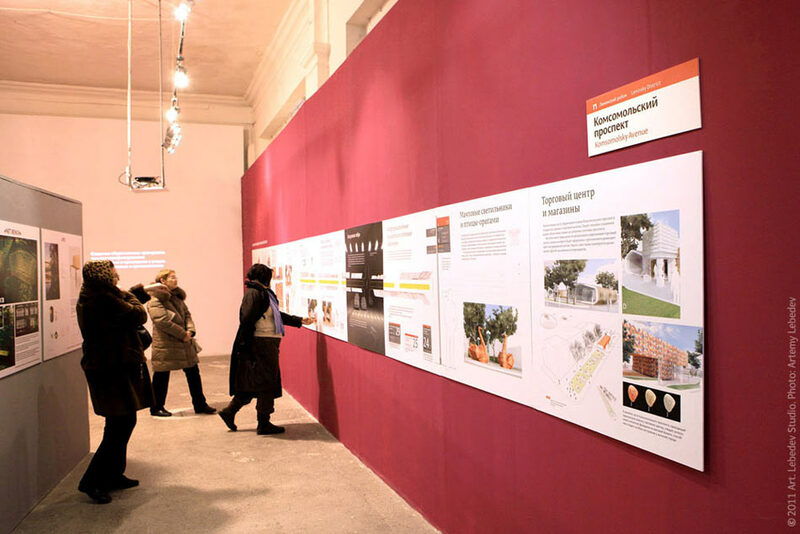 Showing the design project to the residents of Perm.